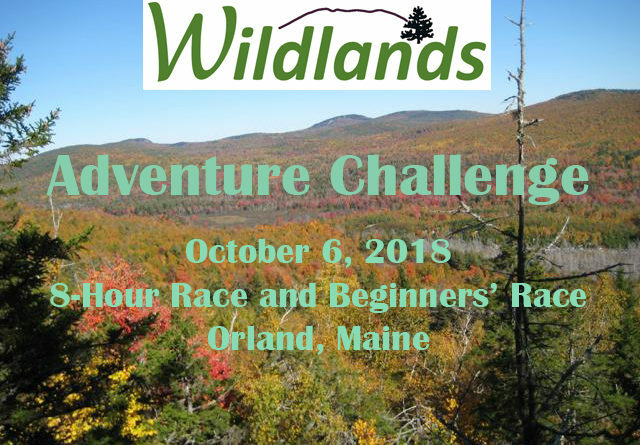 ORLAND — The Wildlands Adventure Challenge will take place Saturday, Oct. 6, in Orland for the first time. This inaugural event will feature a beginners’ race that will give those new to adventure racing a fun yet gentle introduction to the sport, and an eight-hour race designed for those looking for a more intense challenge. The beginners’ race will last between one and three hours and will include hiking and kayaking in provided boats. For those seeking a bigger challenge, the eight-hour race will mountain biking in addition to hiking and kayaking. The race is hosted by the Great Pond Mountain Conservation Trust and all proceeds from the race will benefit the trust. The course will be designed by the members of Strong Machine Adventure Racing, a nationally ranked adventure race team based in Portland, and the organizers of the Maine Summer Adventure Race, the third edition of which took place on June 16, in Jefferson. Race entry includes a swag bag, post-race pizza and drinks, kayak rental, prizes and giveaways. The 8-hour race is $80 per adult racer and $40 per racer under 18 years of age. The beginner race is $40 per adult racer and $20 per racer under 18 years old. The race will be sanctioned by the United States Adventure Racing Association and will count as part of its points series. For information or to register, go to https://WildlandsAR.weebly.com or search for the The Wildlands Adventure Challenge on Facebook.